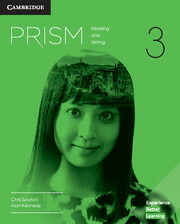 Prism is a five-level (A1 to C1), American English paired-skills course (Reading/Writing and Listening/Speaking), created for students who need to develop a range of academic skills. This Level 3 (B2) Reading and Writing Student's Book prepares students for college classes by developing their critical thinking, reading and writing skills, including grammar for writing. Special sections teach how to be a successful college student, and the accompanying video program sets the stage for each unit's topic. 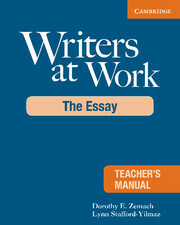 Inside the book is a single-use code for the online workbook. This provides automatically graded extra practice and works on PCs and Macs.